The ideas of today create the change of tomorrow. What vision do you hold for the future of Campbell River’s youth? You innovate. We listen. A hackathon is an “innovation marathon” that focuses on collaboratively developing solutions and ideas. Over the course of 10 hours, students grades 9-12 will have the chance to get the creative juices flowing and explore modern-day solutions for promoting a youth friendly City in Campbell River. As the first ever hackathon in Campbell River, this is a great way to get involved in the community. Did we mention there will be free food and lots of prizes?! The hackathon is meant to promote creativity and entrepreneurship, as well as to help students develop their skills in programming, project management and marketing. Participants get to work together through technical and practical means to come up with solutions they feel will benefit the future of Campbell River’s youth. Need not worry if you don’t have tech experience! During the two day event, workshops will be hosted by professional trainers, and mentors will be available to help each team’s idea come to light. Groups will have the opportunity to do whatever they want, but some examples might include building a game, app, or website. The sky is the limit! 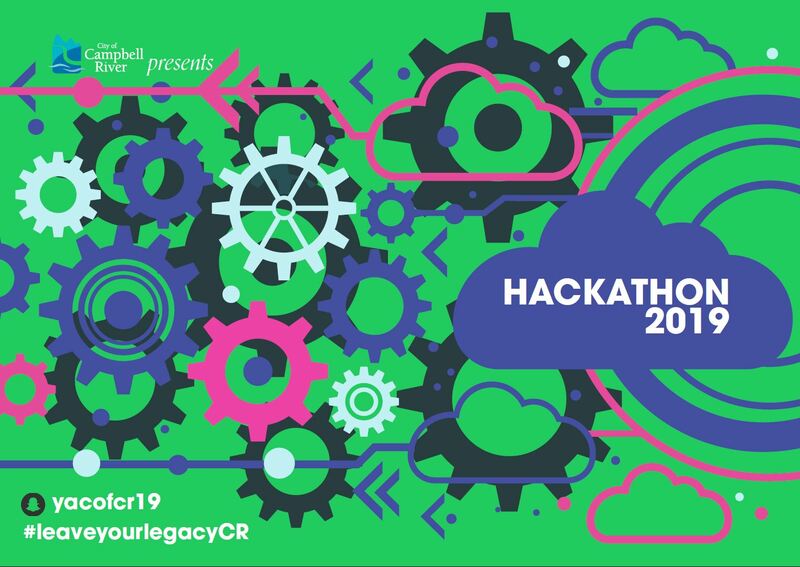 The Hackathon is being sponsored by the City of Campbell River’s Economic Development, Recreation & Culture, Information Technology, and Long Range Planning & Sustainability Departments, as well as the City’s Youth Action Committee. The City’s Information Technology department will be providing laptops as needed.